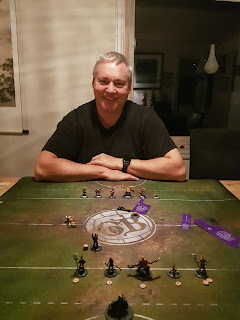 I got a chance to show Guild Ball to one of my oldest and bestest friends, Leif! Leif is a very skilled board gamer, so we just went for it with all the rules and 6 player teams, instead of doing some intro setup. 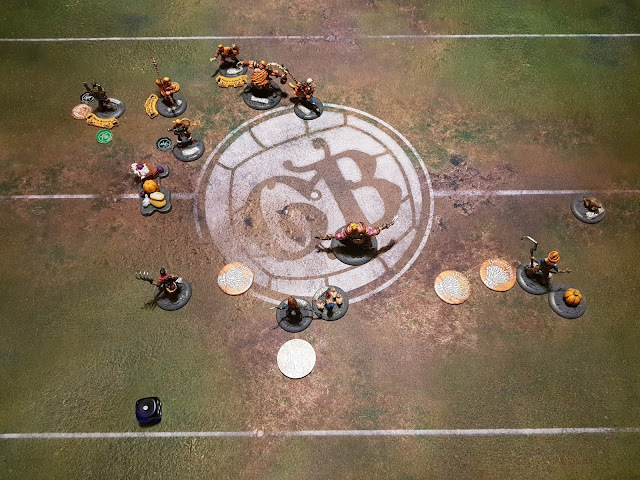 Tapper picked up the ball, and passed it to Friday, who moved up to poison Grange. 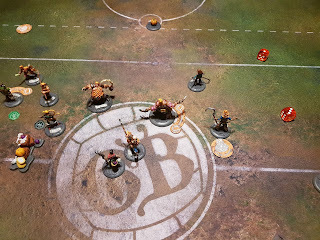 I charged her with Grange, grabbed the ball, knocked her to the ground, and passed the ball to Bushel, who failed to to pass it to Jackstraw (moral: always eat that damn cabbage). Stave threw a keg and knocked Grange forward and close to all the brewers, setting up a brutal beat down for the next turn. 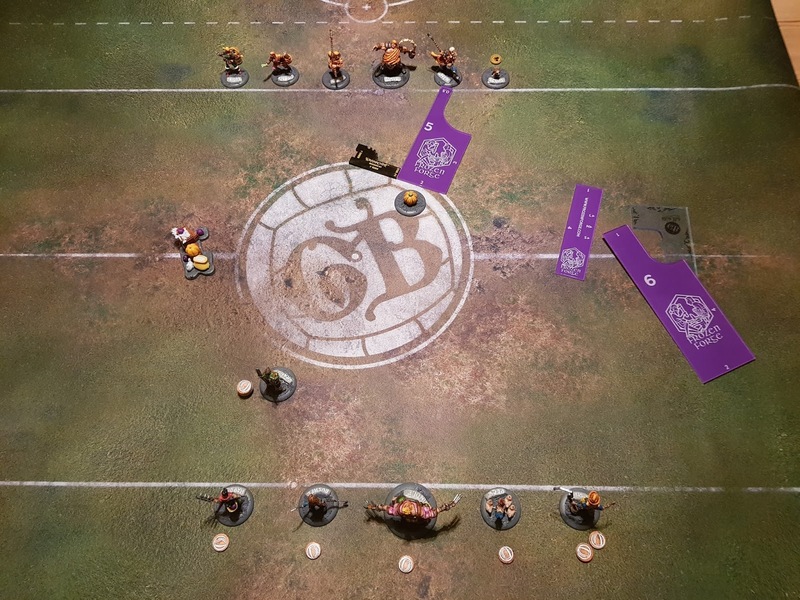 I win the roll off and decide to use Grange first to build momentum, and then I feat. I did a misplay and did not give him Constitution, which would have been a good idea when thinking about the beating he was going to get. Anyway the feat guarantees me a counterattack, knocking down Hooper. As a result, Grange lives. 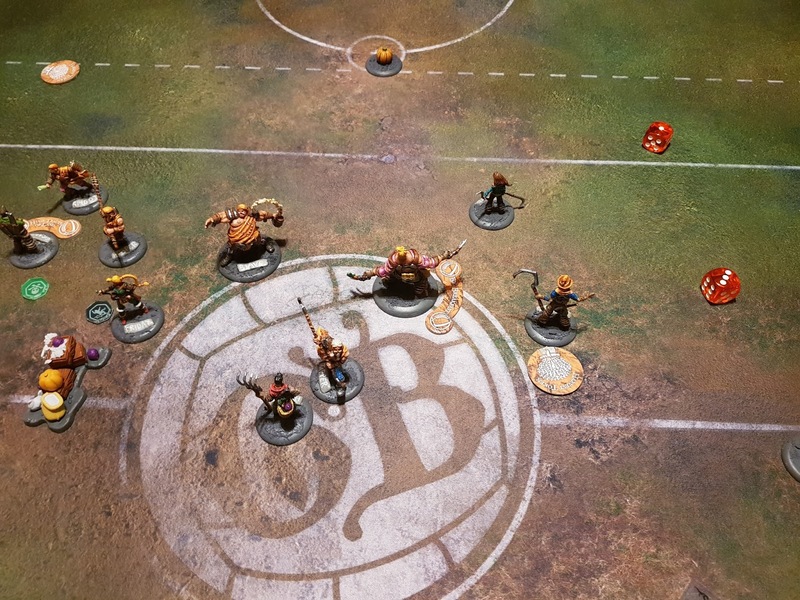 My other players block off Tapper, so that Bushel can get the ball from Jackstraw, dodge forward, run, and score.